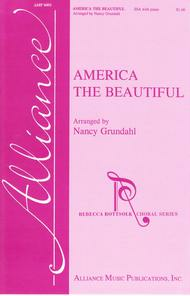 Arranged by Nancy Grundahl. Octavo. Published by Alliance Music Publications (AN.AMP-0492). 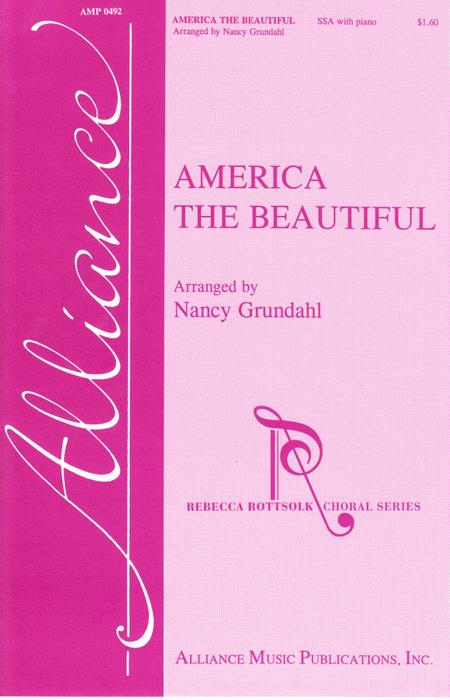 This lovely SSA arrangement of America the Beautiful is easy to learn and ideal for occasions such as Veterans Day, Memorial Day, etc. There are 2 short solos - one for alto, one for soprano - and there are enough little surprises in the arrangement to keep it from being boring.